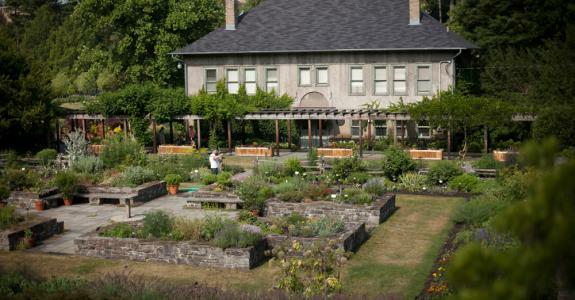 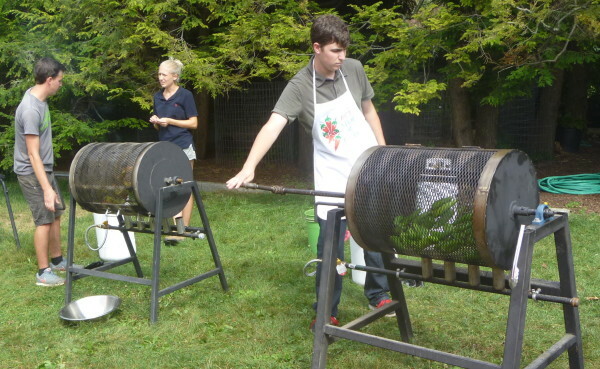 On Saturday, September 19, Cornell Plantations threw their first Pepper Party at the Botanical Gardens. 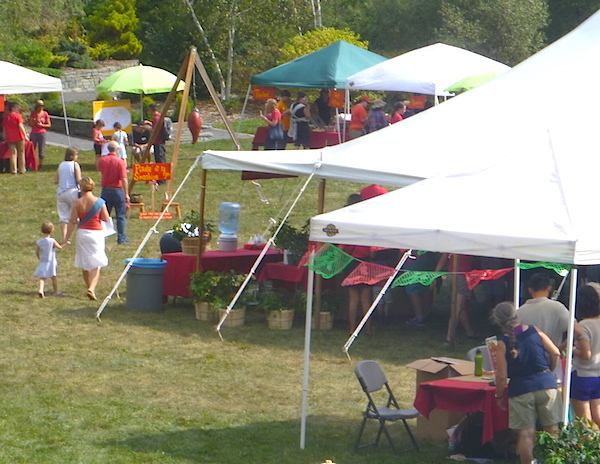 A nice crowd estimated at about 800 showed up to view, smell, and taste peppers and some of the chile pepper dishes from Mexico, the American Southwest, China, Thailand, Morocco, Hungary, and West Africa. 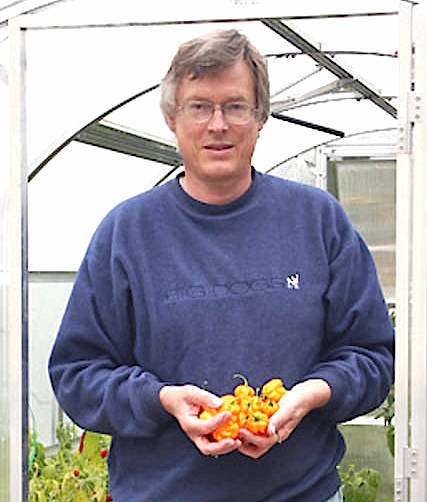 I presented a Pepper Aroma Therapy lesson that revealed the complex aromas of eight different peppers from Ancho (mild) to Barrackapore (superhot). 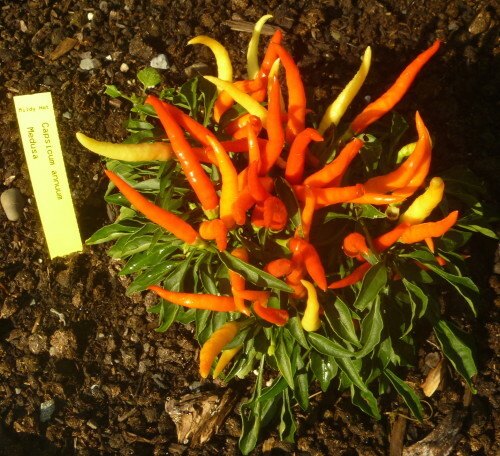 Above is an overview of the Pepper Party and below are some fun images of the event. 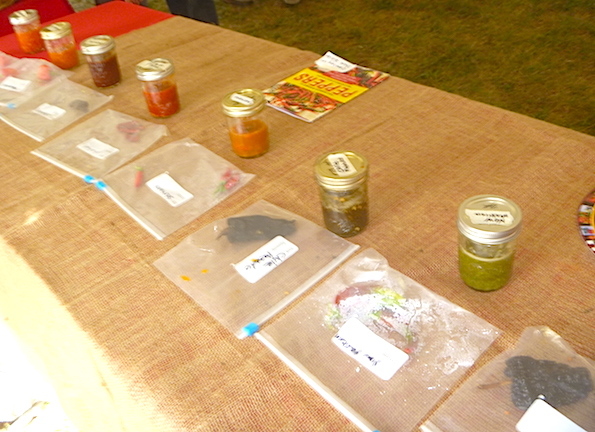 I was thrilled to see New Mexico Chiles being roasted, peeled, and tasted at the Pepper Party. 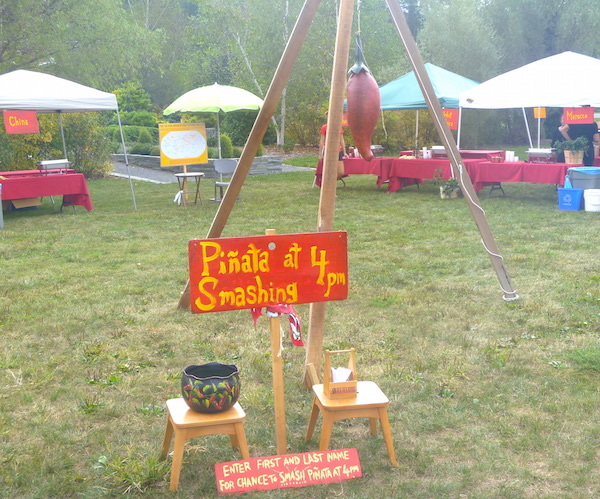 About fifteen youngsters participated in the Piñata Smashing before a crowd of about 100. 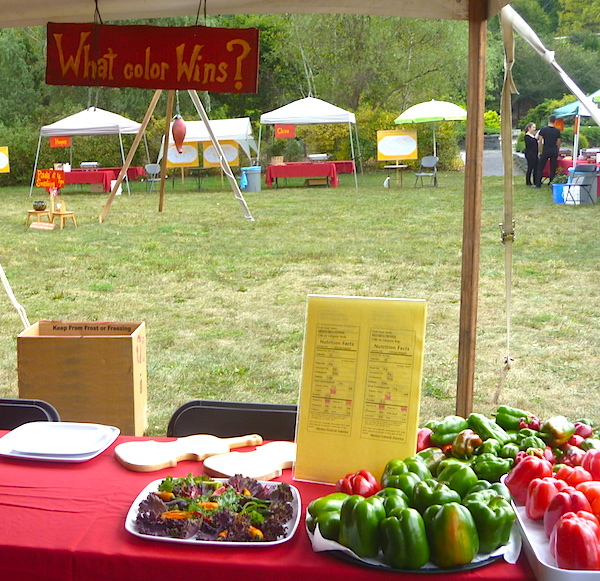 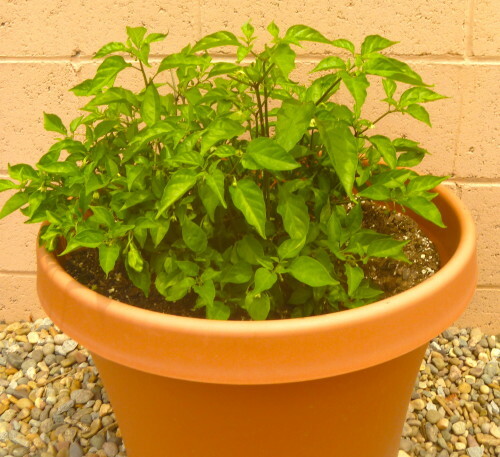 The Contest Station where people voted on their favorite pepper color, Red vs. Green. 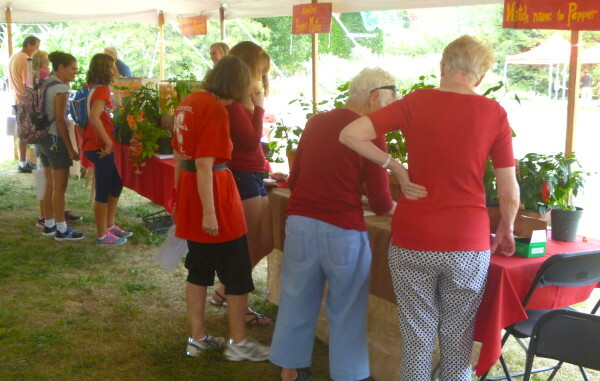 Pepper lovers examining their favorite fruit.